Hotel Acrogiali belongs to the 4 stars(****) lodgings with 70 rooms and Suites. 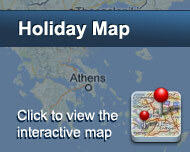 It is situated on the beach of Platis Yialos, very close to Mykonos Town. The rooms provide all modern comforts and are decorated with modern furnishing in order to make you feel at home. There is a TV room in the reception area as and two bars. A restaurant serving traditional recipes and dishes from the international cuisine is awaiting you at the ground floor right on Platis Yialos beach with the best view. The beach right in front of the hotel gathers a lot of tourists that choose it for its white sand, gastronomic choices and water sports. From here you can take a boat to the most famous beaches, such as Paraga, Paradise, Super Paradise, Agrari and Elia. In Akrogiali you will feel the warm and hospitable ambience from the personnel and hotel management which are always at your disposal offering any information needed. Είστε ιδιοκτήτης ή διευθυντής στο ACROGIALI HOTEL; Εγγραφείτε τώρα για δωρεάν εργαλεία, που μπορείτε να χρησιμοποιήσετε για να βελτιώσετε την καταχώρησή σας και να συνδέσετε την ιστοσελίδα σας και το σύστημα κρατήσεών σας. 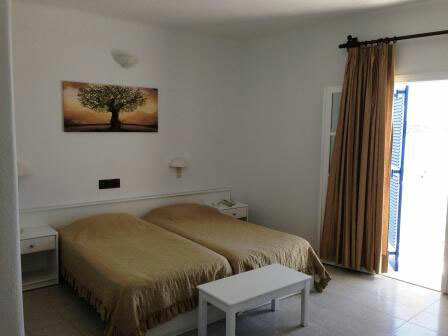 50,00 euros double room including american buffet and transfer.